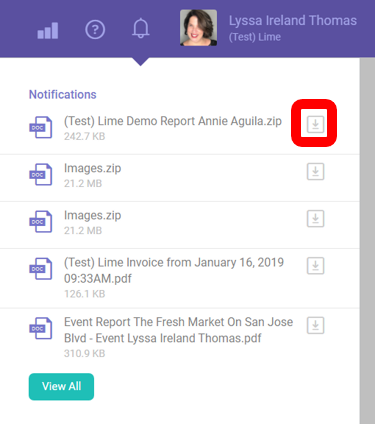 If you're ever in need of pulling completed reports, please see the step by step below on how to use filters to make your life a little easier while completing this task. Let’s say your Brand Ambassador had an event on December 2018. You go into the system and look for Report Dates in December 2018. 1. 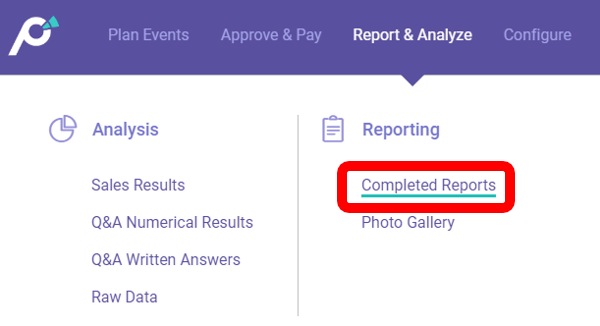 Click Report & Analyze > Reporting > Completed Reports. 3. Under Report Date, select December 1-31, 2018. Click X. 4. You look at the results of your filter, but do not see the correct report. Upon some research, you find that the Brand Ambassador did not complete the report until January 2019, therefore, your current filter is suppressing the report. 5. Go back into the filter and expand the Report Date to run Dec 01, 2018 – Jan 31, 2019. 6. You will now see your report. Want to Download the report? 1. Click Options > Download. 2. Click the Notification Bell when the red number appears.